THE SIMPLE APPLICATION GETS YOU PLAYING QUICKER! 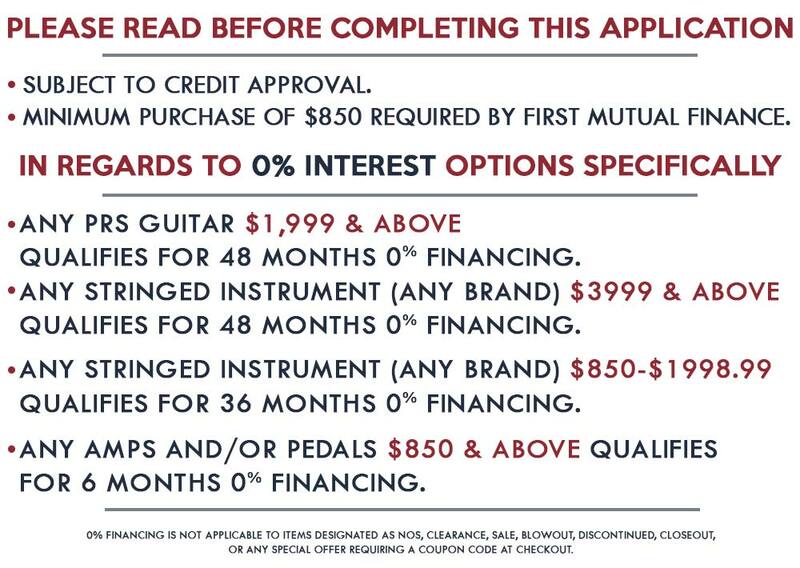 CHECK OUT THIS QUICK VIDEO TO SEE WHAT MOST PEOPLE SAY IS THE BEST FINANCING OPTION IN THE MUSIC GEAR BUSINESS! READ BELOW, CLICK ACCEPT TO AGREE AND GET ROCKIN' ! !